MORE: Bring Lawn Chair and friends for an awesome time! 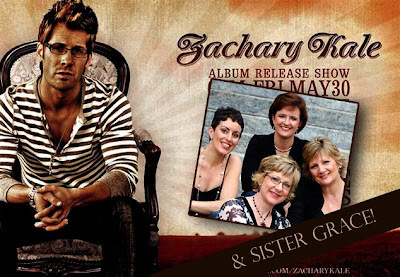 Zack is releasing his CD "Only Chance" tonight--Sister Grace is opening. Food, drink, music-- We want to see you there!